Micaela is a lady based in Kent, she is a digital marketer by day and blogs at Life in Lilac by night. Micaela loves escaping from day to day life and exploring new places and new cultures. I have to admit that when my sister announced she was taking me to Montenegro for a week to celebrate my birthday I had to run to Google to find out where exactly it is! Montenegro, meaning ‘black mountains’, is situated on the Adriatic Sea neighbouring Croatia, Bosnia & Herzegovina, Serbia, Kosovo and Albania. In the last few years locations such as Dubrovnik in Croatia have been getting more and more popular due to the climate and beautiful scenery, however, these destinations are becoming more and more fashionable and pushing up the prices! 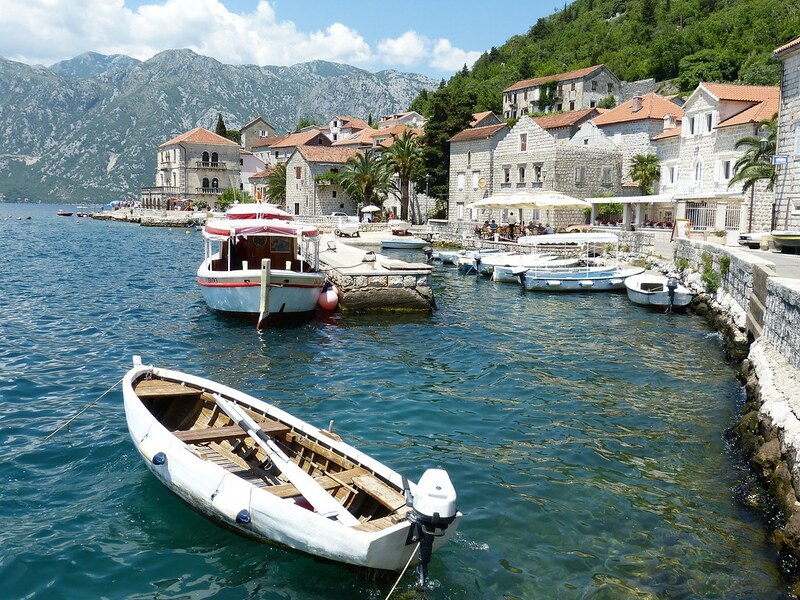 The lesser known neighbour of Croatia, Montenegro, ‘the pearl of the Mediterranean’ is a beautiful country boasting rugged mountains, medieval villages and a stunning coastline. In my opinion it is the perfect destination for people wanting to get away from the stress of everyday life whilst avoiding paying the inflated price of more well known destinations and these are my 3 reasons why. Whenever you travel to somewhere exotic you are going to be on the lookout for great places to eat and Montenegro is not going to disappoint. When looking food a good meal you really have two options; there are the local family run restaurants ‘Kanoba’ which you will find in all the towns around the Bay of Kotor or as Montenegro is growing more trendy more and more chain restaurants are moving into the area with Italian food being one of the biggest trends. If you want something that you know well then the chain restaurants may be what you are after, however, if you want to sample more traditional food then the little traditional eateries where you can experience national dishes offer great tasting dishes at an affordable price point. On our visit we stuck as much as possible to frequenting the Konoba all around the Bay and we loved having a more personal and authentic experience. Why not try grilled kebabs (čevapčići), cabbage leaves stuffed with mincemeat (sarma), goulash or the karađorđe vasnicla – a schnitzel like dish made of breaded veal stuffed with cheese which my sister very much enjoyed. In the Bay of Kotor, where we stayed, there is plenty of fresh seafood including prawns, octopus, bream and bass. If you don’t eat meat or fish (I was vegetarian when I visited) most restaurants will have hearty salads or vegetable dishes on the menu, so don’t despair! 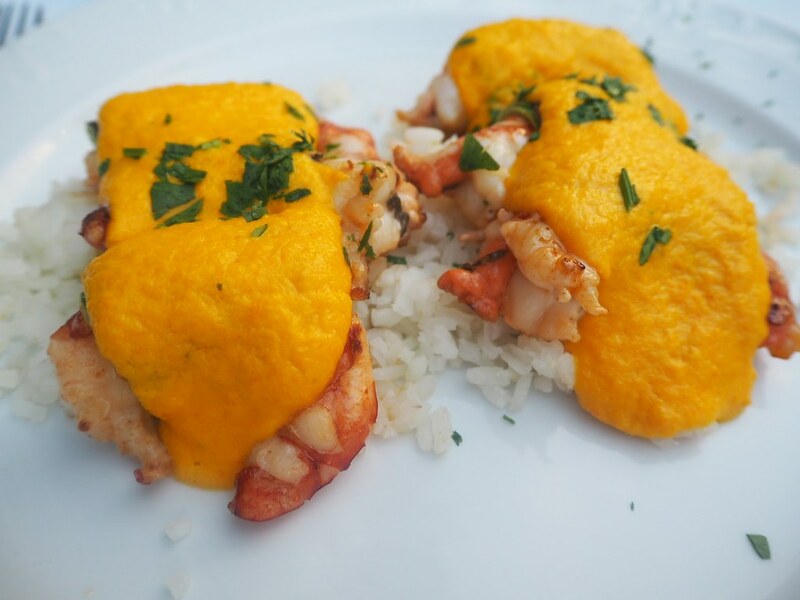 There is a renowned restaurant located in the Bay of Kotor; if you get a chance to visit Ćatovića Mlini, a converted mill which is now one of Montenegro’s premier restaurants and specialises in traditional Montenegrin seafood dishes, you won’t regret it! The combination of the countryside location with a charming garden and the extraordinary menu of local dishes makes for the perfect evening escape. Montenegro loves coffee; it is enjoyed with much enthusiasm! It’s a must when you’re exploring. The typical drink is a Turkish-like coffee with unfiltered grounds but most places will be able to offer you an espresso or milky coffee if you ask. If you’re looking for something a bit stronger I suggest trying some of the local beers, some of the fantastic Montenegrin wines and if you are brave try a shot of rakija – a very strong (40% to 65%) fruity brandy spirit which is a speciality around Southeastern Europe. Plum is the most popular flavour but you can find it in all sorts of variations in both the supermarkets and the quaint little wine shops in the towns. I recommend taking some rakija home as souvenirs! If there is one thing that Montenegro has in spades that is history. From Serbian principalities to the Byzantine Empire, the Federal Republic of Yugoslavia to independence as a republic in its own right in 2006. 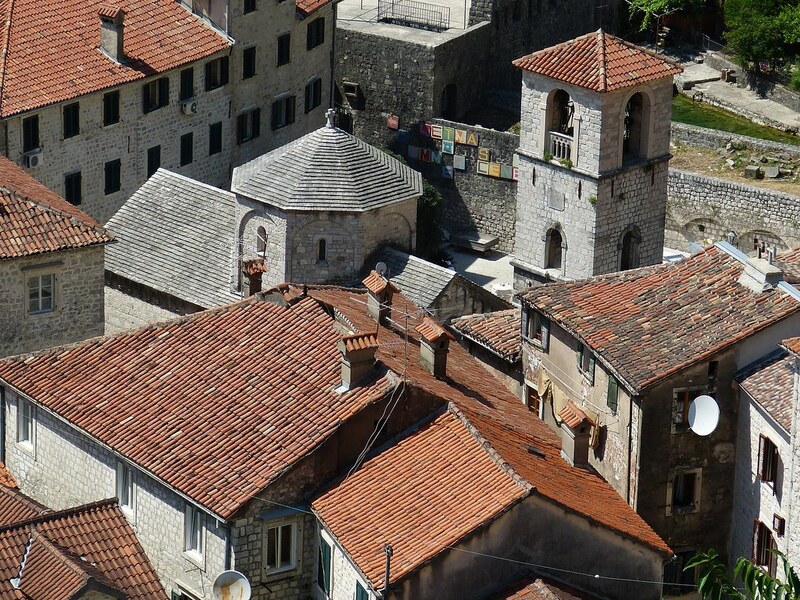 Every stage of history as left its marks on Montenegro including stunning architecture, fascinating fortifications and beautiful houses of religion. You can explore as much or as little of the historical sites around the Bay of Kotor as you like but I definitely recommend taking in at least some of them so you can better understand the blend of cultures and fully appreciate the sights. Around the Bay of Kotor sit a collection of sleepy seaside medieval villages where you can easily while away a day exploring their paved roads, Churches, stone houses and little shops. They definitely make for fantastic photo opportunities with their postcard perfect vistas. On our visit we took in many historical sights which I recommend. Our Lady of the Rocks, a Catholic Church with a stunning ornate altar and art covering the walls and the ceiling by local artist Tripo Kokolja built on a man-made island off the coast of Perast, a UNESCO Heritage protected town, which is accompanied by a museum of Montenegrin nautical history that can only be accessed by boat! In Kotor you should visit the Cathedral of Saint Tryphon which as well as being an impressive structure boasts an array of religious artefacts including relics of Sveti Tripun, the protector of Kotor, Gothic sculptures, four marble altars from XVIII century which were made in Venice and a silver golden rake which is a great piece of work of medieval Kotor’s goldsmith. 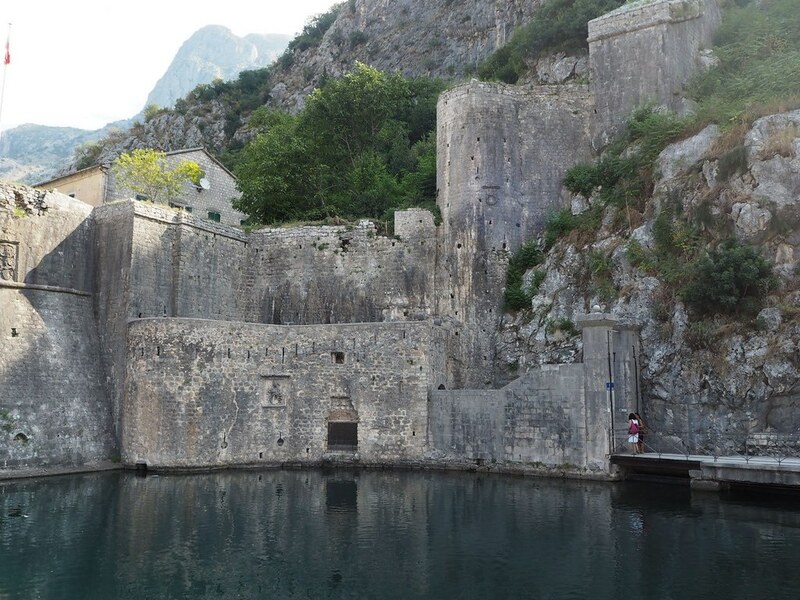 While you are in Kotor and if you feel brave I recommend climbing the impressive fortifications of Kotor. My sister very bravely did this. discovering there are stretches without protective barriers and sheer drops! The Citadel of Budva sits on the Southern side of the Old town in the most elevated position offering extraordinary views across the Bay which are perfect for selfies! Records going back to the XV century detail the fortress which stood to protect the town. The site was upgraded and reconstructed in the XIX century and at this time a small church was demolished and a military garrison was placed at the fortress, the Citadel is now privately owned with museum which you can explore today. 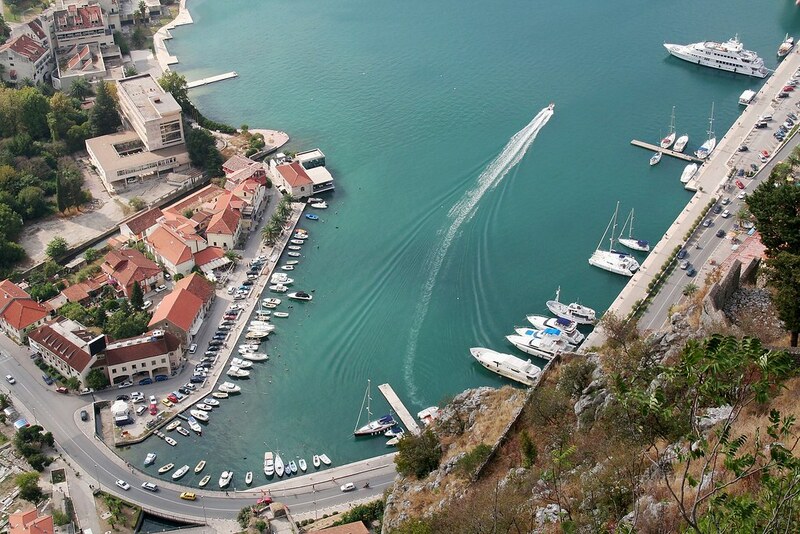 You can read more about what to do in the city in this Kotor travel guide. Although this is more of a natural phenomenon rather than historical per say, the Blue Grotto located in the Lustica Peninsula is something that you simply have to see whilst in the Kotor Bay. 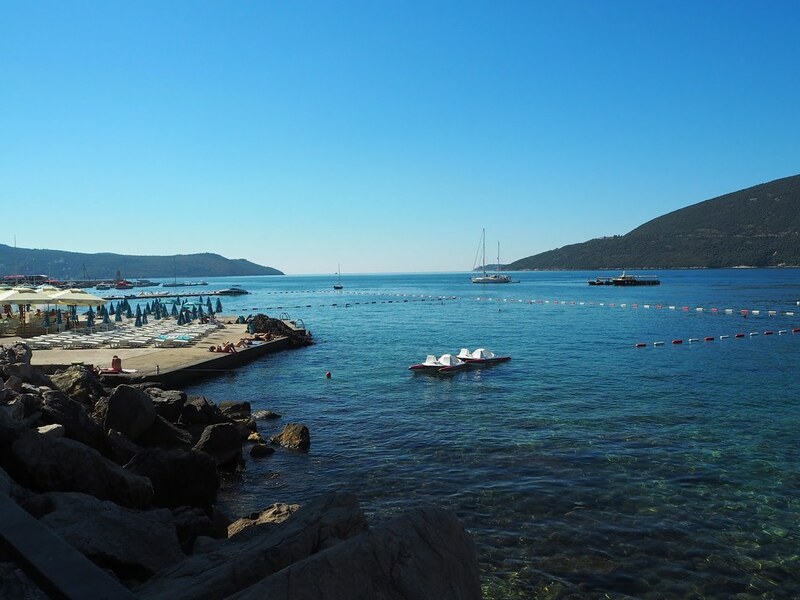 Accessible via many boat tours which cover the 9 nautical miles from Herceg Novi, the Blue Grotto is a stunning cave named for the extraordinarily vibrant blue water which is created by the reflection of the sun on the water which is unusually warm – yes you can swim in it! The cave reaches a height of 9m and has a depth of 3 – 4m. Montenegro has both a picturesque coast and a mountainous northern region. No-where else can you find so much natural wealth, beauty, mild beaches, clear lakes, fast rivers, and gorgeous mountains in one place. Nothing can prepare you for just how beautiful Montenegro is, especially the Bay of Kotor which boasts amazing views across the water, pebble beaches which are often full of happy families at play as well as nobel, looming mountains. There are many quaint seaside villages full of stone ruins along with well-preserved ancient towns which make for postcard perfect photos. They offer you an authentic Montenegrin experience and have all the charm you’d want. As well as the coast Montenegro boasts four beautiful National Parks which showcases the natural beauty of its inland scenery. 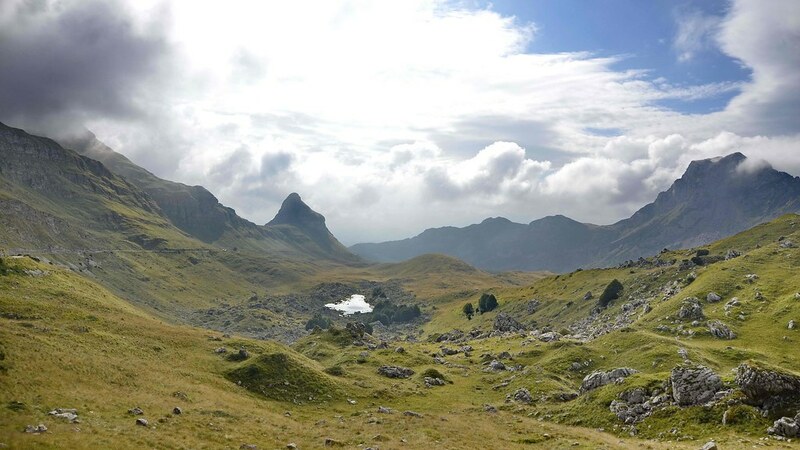 Durmitor is the largest of the National Parks, it is a UNESCO World Natural location and is on the Cultural Heritage list. It is one of the most famous in the world.It has a large number of natural attractions including peaks of great mountains, a canyon, clear rivers and lakes as well as a beautiful dense forest. Hiking, biking, rafting, mountaineering are available at Durmitor all of which offer you a fantastic chance to explore the scenery. All in all, nothing can really compare with enjoying a cool drink at a water-side restaurant watching a school of dolphins swim across the Bay as the sun peaks over the mountains, or taking a warm, evening stroll watching the moon reflected in the sea. it is almost spiritual. I can’t recommend a visit to Montenegro enough. If you didn’t tell its location I’d have to Google it as well, but now Montenegro is on my travel list because of the Medieval villages. I’m all in for trying the traditional dishes when travelling and now I’m eager to check your food and drink recommendations, specially the fresh sea food dishes and the rakija. I was surprised that I translated “Montenegro” as Black Mountains! GO ME! haha! My favorite thing about any kind of traveling is definitely the food + drink!! Especially the fresh sea food. The little shops are intriguing too! I’ve been in a debate with myself, if I should go to Podgorica or Valleta. I’ve heard it is an amazing place to visit, I think I’ll give it a try this coming summer. What breathtaking scenery! That alone makes me want to visit. Gorgeous photos! I’ve always heard so much good about Montenegro from all that have been there, but haven’t had the chance to visit it myself. I really need to. Thanks for sharing. This is such a wonderful place to go. I’ve never been to Montenegro but our friends which are Serbian, they always went to Montenegro for their summer vacation. I think me and my sea food obsession would do just fine in Montenegro! I’ve never been and its a place I don’t know much about but it looks absolutely stunning, I’d love to go now! I’ve really started seeing Montenegro pop up in my feeds and know it’s becoming a popular destination. Your photos are gorgeous. We’ve had Croatia on our list for years now. Hopefully we’ll be able to visit soon. Lived in Croatia for four years and never got to visit Montenegro only wanted to do so after moving but there’s always time. Love the views and the beaches. Such a beautiful place. I love seeing people’s pictures for all over the world. So many hidden treasures. Aww I love your beautiful photographs so much! This looks like such a gorgeous place to visit!!! I have never heard about Montenegro but I am glad to learn about the country, history and food. I would love to visit Montenegro one day! To visit Montenegro will be for the history. Knowing much more about the country will make me love it all the more. 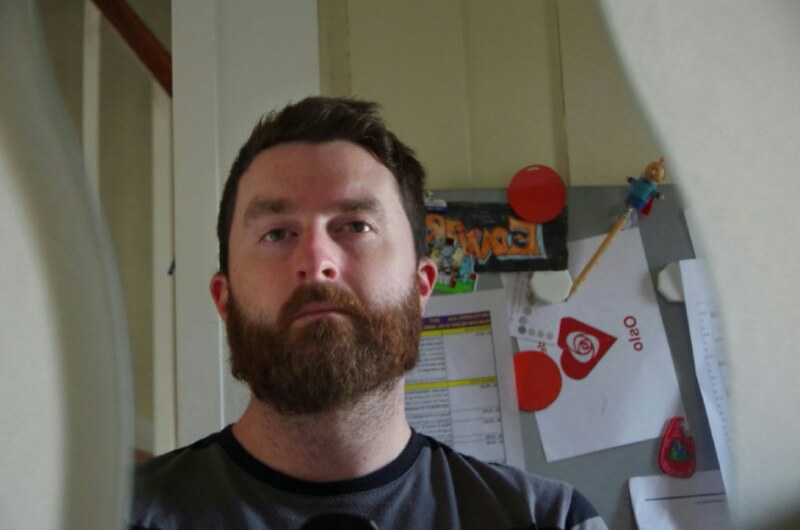 The photos alone are inspiring. What a beautiful way to celebrate your birthday! Your pictures are amazing, there are some beautiful views there. Would love to visit Montenegro some day! Oh my goodness this sounds like an amazing place to go and visit. That food just looks mouth watering and I am all about history so that is right up my street. This is so beautiful place and great to be there on your birthday. I am totally loving all the pictures, Montenegro is so scenic and picturesque. The natural beauty is just amazing, would love to visit this. I don’t think we need more reasons, Montenegro is such a beautiful place especially if you love good food, history, and beautiful architecture. It’s definitely a place that’s worth going to no matter where you are in the world. WOW. Is anything there not absolutely beautiful?! The scenery made me smile, I’d love to visit! Thanks for sharing. You definitely showcased the beauty, history and amazing food here well. It is enough to make anyone want to visit as it looks incredible! Montenegro sounds like such a fashinating place to visit! Those views are amazing! Would definitely spend a holiday there! I have never vist Montenegro but it is surely going to be on my list of places to visit. That picture of their food look soooooooo tasty. I am a foodie so once the food is good i am usually sold lol . The scenery looks good too. I would love to visit Montenegro! It looks beautiful and the food just looks so good. Beautiful photos too! Montenegro looks lush. The food sounds amazing and I am such a food lover! I’d go somewhere just for that! I’l love to go somewhere hot in the near future too! This place is definitely beautiful! I would love to visit one day. Thanks for sharing this and the tourist sites! Montenegro looks incredible! I don’t even really like going swimming, but now I’m itching to take a dip in the Blue Grotto! Rakija also sounds delicious, I would definitely have to take some home with me if I visited Montenegro.